What happens when a group of successful serial entrepreneurs with a proven track record in building network infrastructure, web hosting and application delivery products and technology companies get together? Naturally, they form a company and turn it into the fastest growing Content Delivery Network (CDN) in just a few short years. 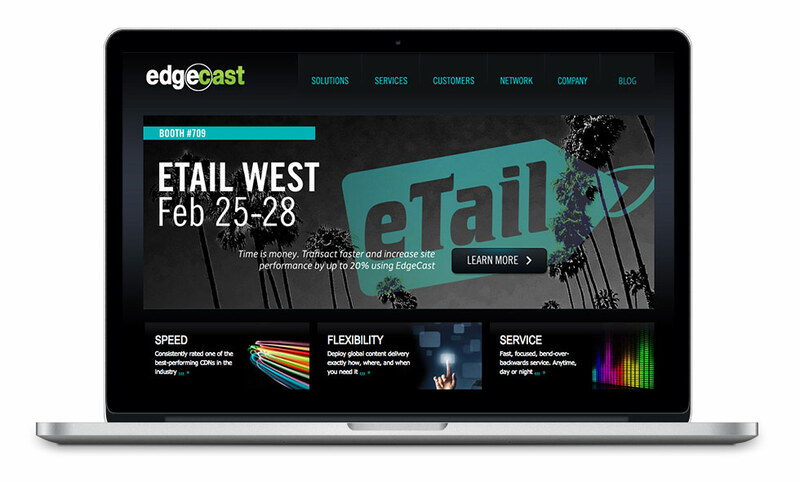 EdgeCast was born in 2006 and it was nurtured for hyper-growth. Quickly emerging as a global leader in content delivery for a wide variety of media and content companies, the company built the world-class CDN optimized for progressive downloads and streaming media, live event broadcasts, website acceleration, ecommerce and general content delivery with a global footprint and dozens of datacenters strategically located around the world. EdgeCast needed someone to drive the Company’s recruitment needs. They were growing incredibly quickly and emerging as a global leader in their industry. The company needed to hire top talent across the entire organization to support their hyper-growth, from administrative assistants to product, sales, marketing and technology leaders. The Executive team didn’t want to hire a full-time in-house Corporate Recruiter, as they were still a lean startup. They also didn’t want to use multiple contingency agencies due to cost, quality and results. So they turned to StartupTAP as their Recruiting Partner. EdgeCast turned to StartupTAP’s Founder and Managing Partner as their Recruiting Partner. We evaluated the existing position specs and hiring process; we helped create strategy and execute the recruitment across the entire company. We changed the copy of the position specs to tell a better EdgeCast story – a critical part of the recruiting process. We became part of the EdgeCast team. We immersed ourselves into the team and were deep in the trenches every step of the way. This allowed for real-time collaboration and alignment on recruiting strategies with all hiring managers and business leaders. This gave us ownership over the entire recruiting process; creating a cohesive hiring brand, owning the process and candidate experience. We performed an evaluation of company benefits, perks and salary expectations across all hiring roles for the Los Angeles market to give new hire satisfaction and retention a solid start. We researched and identified and direct-sourced high value candidates from the right companies. We then created a concise and compelling message and reached out to candidates not actively on the market with a concentrated outbound campaign. Through this process, we were able to build a bench of qualified, interested, affordable, commutable and available candidates. This allowed for EdgeCast to secure the right talent. We did all the nitty-gritty. We researched, direct-sourced, and leveraged our relationships and network to secure the right candidates. This included all the coordination (administrative blocking and tackling) for every candidate touch point. We chased down hiring managers for feedback and closed the loop with all candidates. EdgeCast grew from 45 employees to 230+ employees globally before being acquired by Fortune 15, Verizon, to become Verizon Digital Media Services. Hiring industry-leading talent in the very specific niche space of content delivery networks isn’t simple. This took deep research, a clear understanding of the company goals and a concentrated campaign. Securing the right talent in both sales, operations and engineering allowed for EdgeCast to quickly scale and gain market share. across the company including several critical senior level executive positions. We set a new standard for “hunting” and “targeting” the right talent. We were aggressive in the market and told a great story defining the narrative and voice of the company. We championed EdgeCast’s brand with every interaction from hires to disqualified candidates.